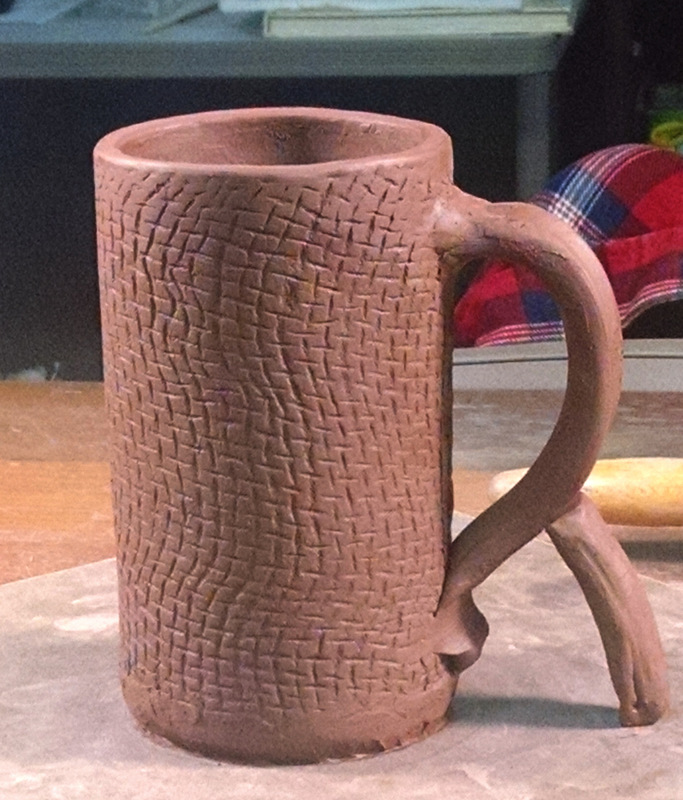 I have to say, I’m not a huge fan of the process of making cups and mugs. However, people keep telling me how much they love the mug that I use for my coffee at work. It’s a simple design, but with a deep brown and red glaze that interacted nicely with the little bit of texture I stamped into the surface when I made it. I have a hard time calling a mug, even a nicely hand made one, “Art”. It’s not something that has a great emotional or conceptual content… but yet, people like them, and keep asking if I have more that they can buy for themselves. I don’t think it’s just because they are less expensive than my more “artsy” pieces. I believe people just find them beautiful — the kind of beauty you can hold in your hands. Perhaps the key is that art is more than “Art” with a capital “A”. Beauty can stand simply, on its own. Beauty can be its own reward. And, if that beauty is physically held in one’s hand (visual and tactile), then we can experience it up close. True, there is a lot more to art than simple decoration, but decoration, by itself, can have its own fundamental value. Beauty creates light and joy in our lives. Especially in the case of functional art (cups, mugs, utensils, etc. ), it weaves its way through our mundane, daily existence, leaving a faint echo of the presence and character of God in the middle of an often ugly, noisy and conflicted world. 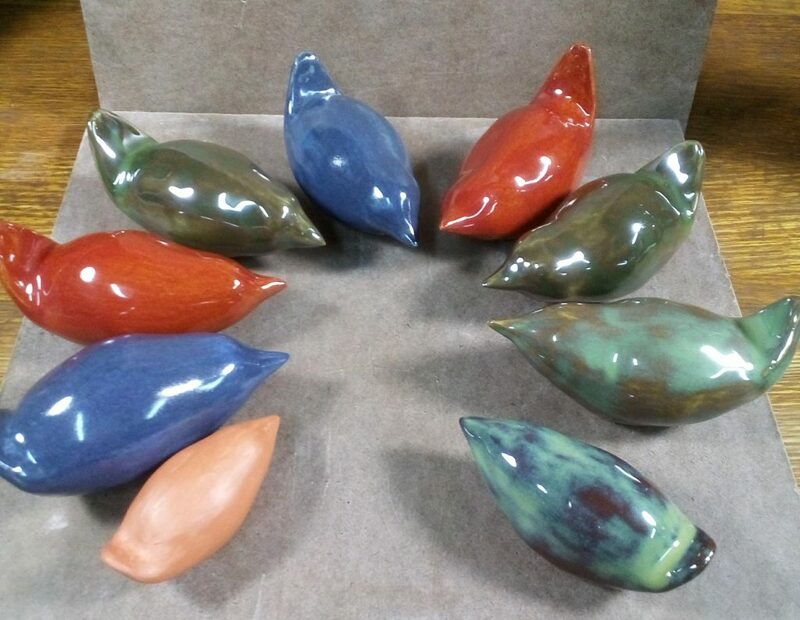 Posted in Artistic Process, Blog and tagged art, beauty, birds, functional art, hand, hold, practical, purpose.